The famous mischievous rabbit is heading to the big screen as Colombia Pictures and Sony Pictures Animation releases the official trailer for their upcoming film Peter Rabbit. View trailer below. 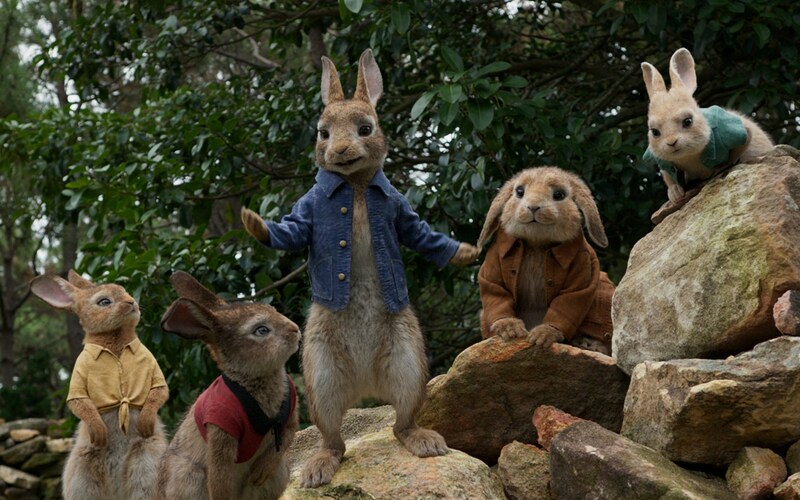 I do remember reading the Peter Rabbit book when I was young, so when I watched this movie trailer I kind had a brief moment of childhood nostalgia. Naturally, this is a kids movie, so (as one can tell from the trailer) that there’s going to be plenty of childish angst / slapstick comedy throughout the movie. It kind of reminds me of the Garfield live-action films. Personally, I like everyone attached to this movie (i.e Corden, Robbie, Ridley, Gleeson, Byrne, etc). All in all, Peter Rabbit, while not on my definite “must see” list, is definitely on my radar for the early 2018 movies. I really loved Beatrix Potter’s stories as a child. This trailer hurts me – I can’t even bear to finish watching it. Haha…I can see what you mean.